"Best day ever" - that's how Team SCOTT-Odlo will remember the World Championships in Nove Mesto after both Nino Schurter and Jenny Rissveds claimed titles in their respective races. This weekend will forever be tough to beat! 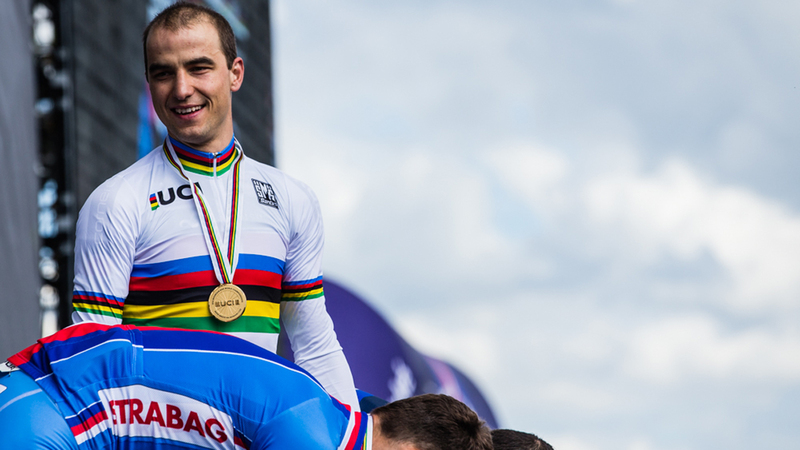 These World Championships will not only be memorable for SCOTT Odlo MTB Racing, but they will also be remembered by the world's MTB community. The amazing atomsphere with over 20'000 enthusiastic spectators will go down as one of the best in the sports 26 year history. To see Jenny Rissveds winning her first ever rainbow jersey and to have Nino Schurter steping on top of the podium with his big rivals Jaroslav Kulhavy and Julien Absalon will make this day one to remember. The reigning World Champion Nino Schurter showed nerves of steel. As one of the favorites, Nino surely felt the pressure. 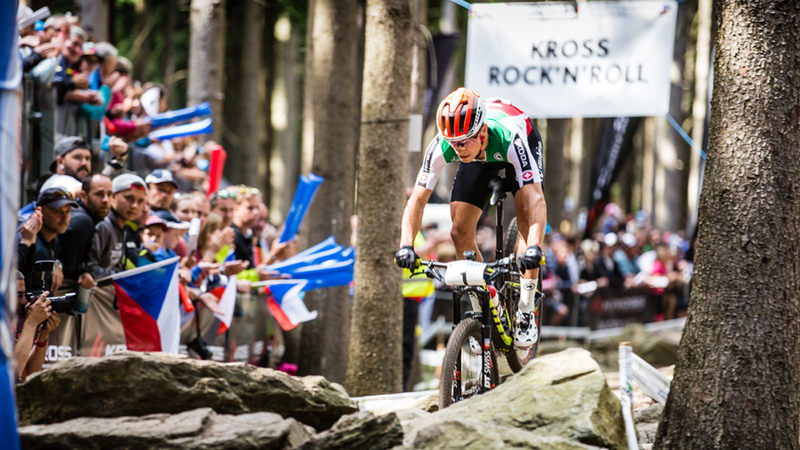 He knew Jaroslav Kulhavy would be a threat with his home crowd behind him and Julien Absalon proved in the last World Cup in La Bresse that he is more dangerous than ever. Even each one of the top favorites has the Olympic Games in Rio in the back of their minds, and what could build more confidence than winning the World Champion title six weeks prior to Olympics? Olympic Champion Jaroslav Kulhavy impressed with a strong showing early in the race. Only Nino Schurter was able to hold on to his wheel. Later on Jaroslav's fellow country man Ondrej Cink closed the gap to the leading duo. Julien Abslaon was sitting in 4th place and always had the leaders in sight. When Kulhavy slowed down in the second lap, N1NO launched a first test with an attack. It looked almost too easy the way he got away. It was too early to go solo he figured, and waited for his competitors to close the gap. By that time Julien Absalon joined the lead group while Cink had a hard time hanging on. At all times N1NO looked focused and confident, hammering his new new SCOTT Spark RC 900 World Cup up the steep climbs and riding with control on the technical descents. Now only were his riding skills on point, but so were his instincts. He found the right moment to attack a second time shortly after Absalon was able to close the gap. It was the winning game plan. After N1NO got a 30 second lead, both Kulhavy and Absalon knew the Gold medal was gone and they were watching each other to fight for Silver. The duel for 2nd went to Kulhavy. Behind Absalon in 3rd there was a huge gap to Cink in 4th, Stephane Tempier in 5th and SCOTT rider Matthias Stirnemann in 6th. With his 5th World Champion title Nino Schurter is now eye to eye with the most successful rider of all times, Julien Absalon- another mark for the books! The previous and new World Champion stated, "This race went just about perfectly from start to finish. This course really suits me (after winning three out of five World Cups in Nove Mesto it's Nino's 4th win). I felt strong all throughout the race and I felt super comfortable on my new race bike. It's an amazingly fast bike and it was definitely part of this success. No time to lean back with my home World Cup in Lenzerheide coming up next weekend and the Olympics in August. But it sure takes some weight off my shoulders. It feels great to have something in the books this early in the season." With the World Cup in Lenzerheide, nationals the week later and a HC race on the 2012 Olympic course in London, the month of July is packed with racing. Our second hot iron for a World Champion title had nothing to defend but was as much under pressure as her team mate N1NO. After finishing second in the elite World Cup in Albstadt, Jenny Rissveds was the clear favorite in the U23 World Championship race. She learned last year that the Worlds are never easy to win, especially as the favorite. 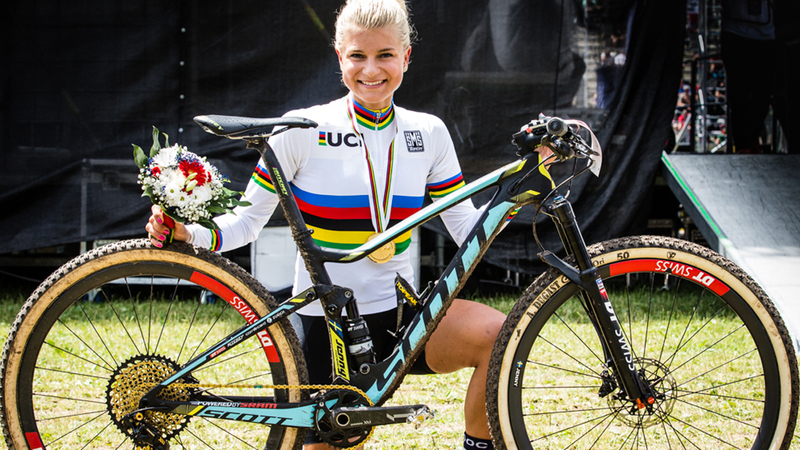 Knowing that the course suited her well and riding the lightest Cross Country full suspenion bike in the world, the confidence was there to overcome last year's less than favorable experience. Just like N1NO she had the race under control at all times. Halfway through she made a move that couldnt be defended. From then on she raced to the finish in style with the focus of a World Champion. "This is a dream which came true! The last month was not easy dealing with my injury from Albstadt. Now I'm just happy everything played well for me. It is realy something to be called World Champion." Whith a smile she says: "I first have to get used to it.